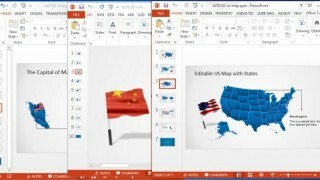 Looking for some nice flags to include in your next PowerPoint presentation? While it is easy enough to download an image of a flag and use it in presentation slides, it might not look professional and adjusting such an image to look right can take a long time, i.e. if it ends up looking anything reasonable. If you are looking for editable flags of different countries, then you can find the most amazing, editable flags of the world for PowerPoint from our PowerPoint Flag Templates. 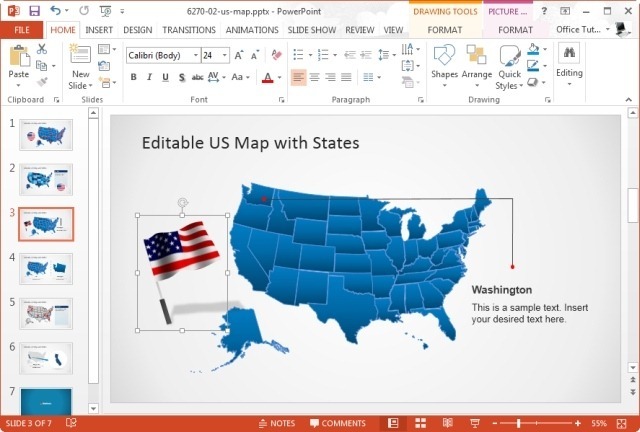 Below is an overview of how you can edit and use these professionally designed flag templates for PowerPoint for making astounding presentations. SlideModel’s flag templates come with customizable flags which can be easily copied and moved across slides. You can also resize and recolor the flags to suit your needs. To change the size of a flag, simply select the flag and drag it to increase or decrease size. You can also adjust the flag on your slides via drag and drop. 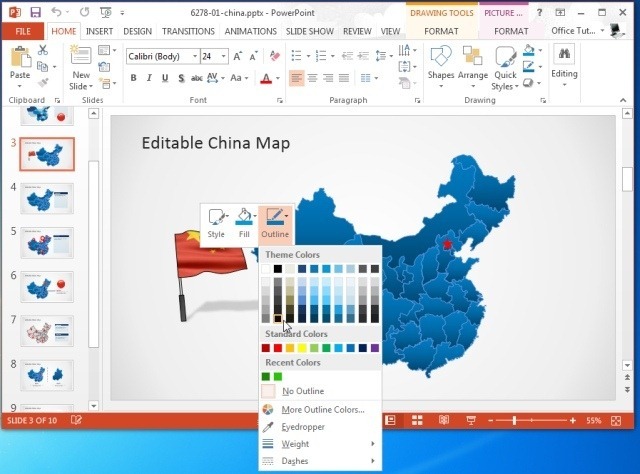 Recoloring the flags is also quite easy, you can access options to change the look of your flag via right-click menu or by going to the PowerPoint drawing Tools. 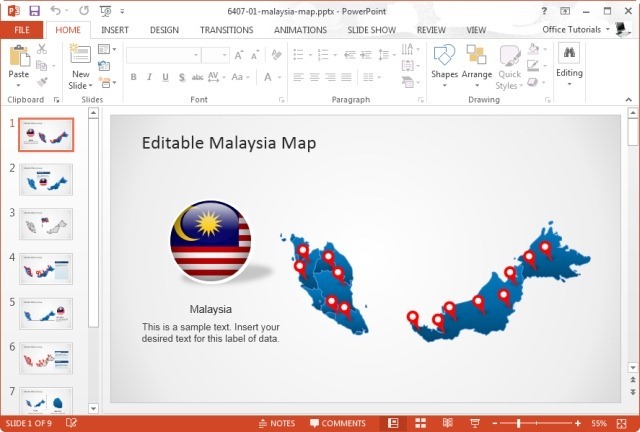 These flag templates are more than just PowerPoint templates with flags of different countries, as they offer a comprehensive set of features for making elaborate presentations with editable maps and GPS markers, with accurate map layouts for each country. The flag designs in each template include a conventional flag, as well as a badge version of the flag. 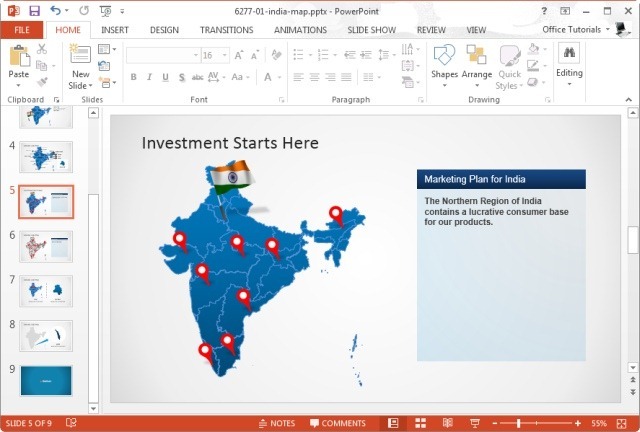 These templates can be used for a wide range of presentation topics, be it for making business or marketing presentations, sales plans, academic presentations related to geography or history or even presentations on topics as diverse as globalization, carbon rationing, global warming, politics, etc. Check out our complete range of templates by browsing through our collection of Flags of the World for PowerPoint. Tags: Business PowerPoint Templates, Business Presentations, Cool PowerPoint Templates, Diagram Templates, Map Templates, Maps, PowerPoint Flags, PowerPoint Shapes, Templates.